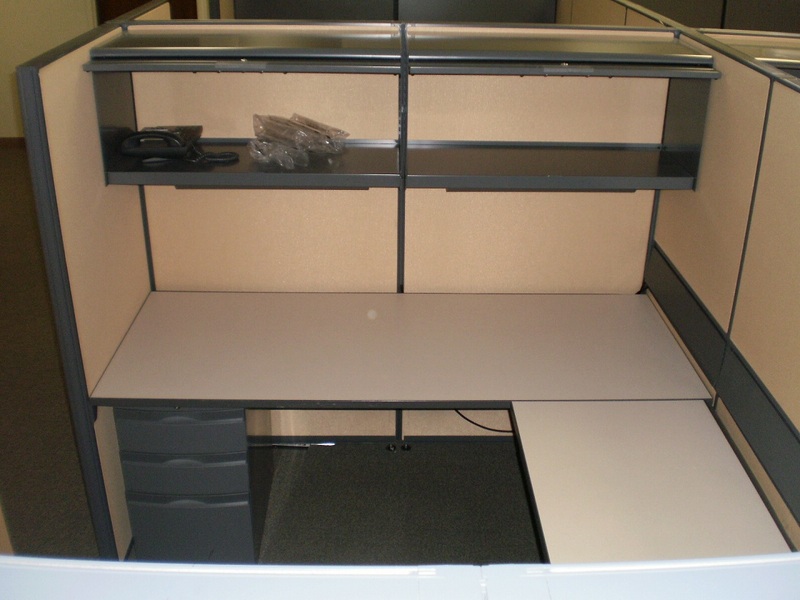 Teknion Boulevard workstations, 65″ high, U-shaped or L-shaped. U-shaped consisting of a 30×72 main with a 24×42 bridge with a 24×72 credenza. OR L-shaped with 30×72 main and 24×72 return making a 6×8, or 6×6 with 30×72 main and 24×42 return, or 5-1/2×6 with a 24×72 main and a 24×42 return. 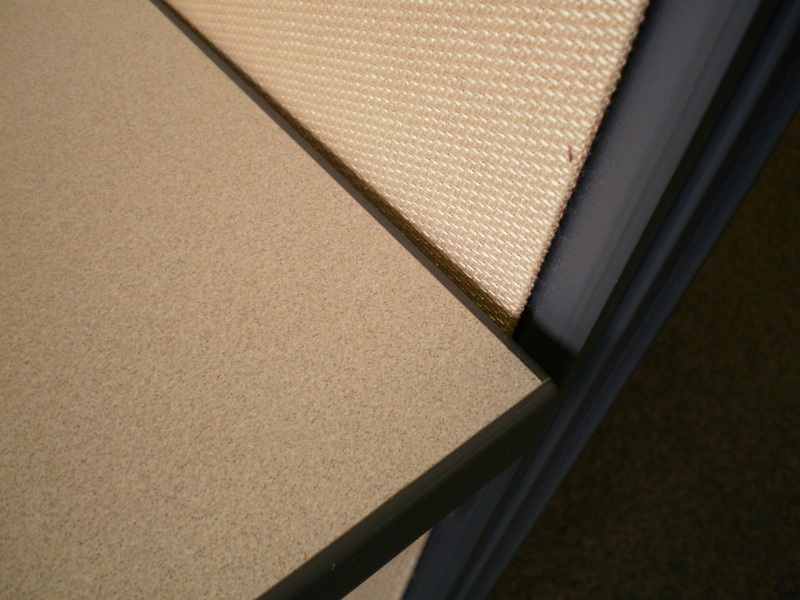 Gold fabric with medium gray trim and light gray worksurfaces. Power down spine with base-in power feeds. 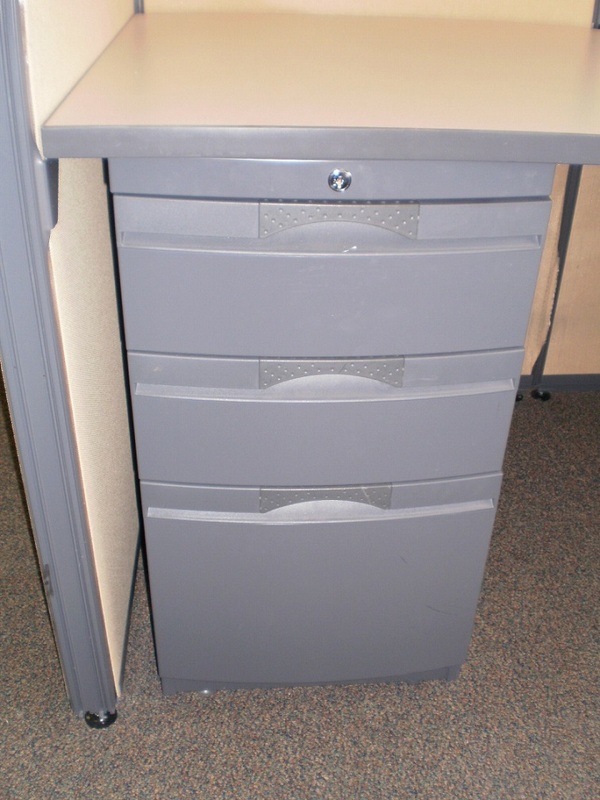 BBF pedestal and 2-drawer lateral. 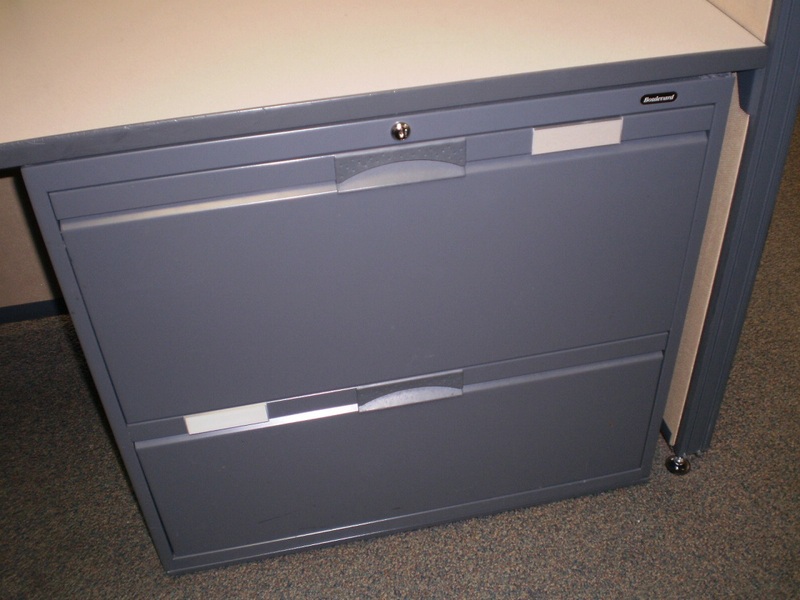 Two locking 36″ overhead binder bins with one task light. This panels can be reupholstered into any color. 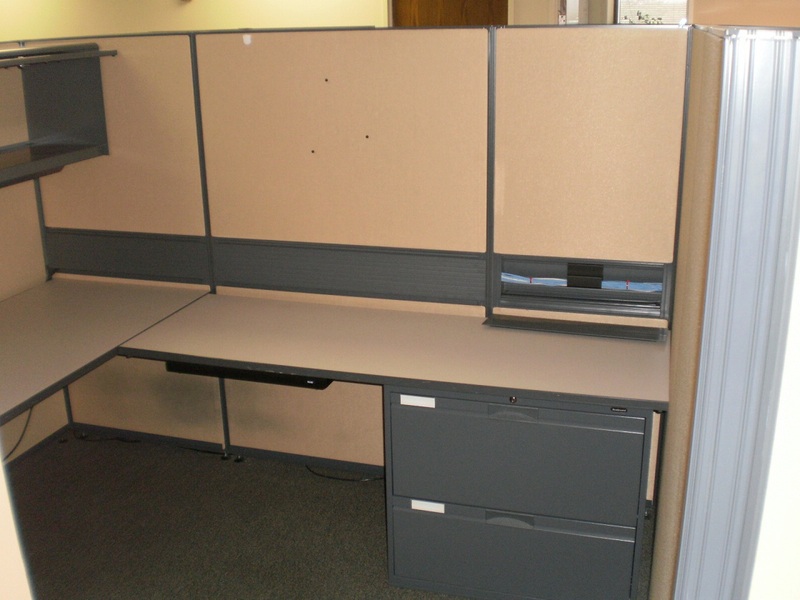 Used Steelcase furniture has never been so affordable in Columbus, Ohio. 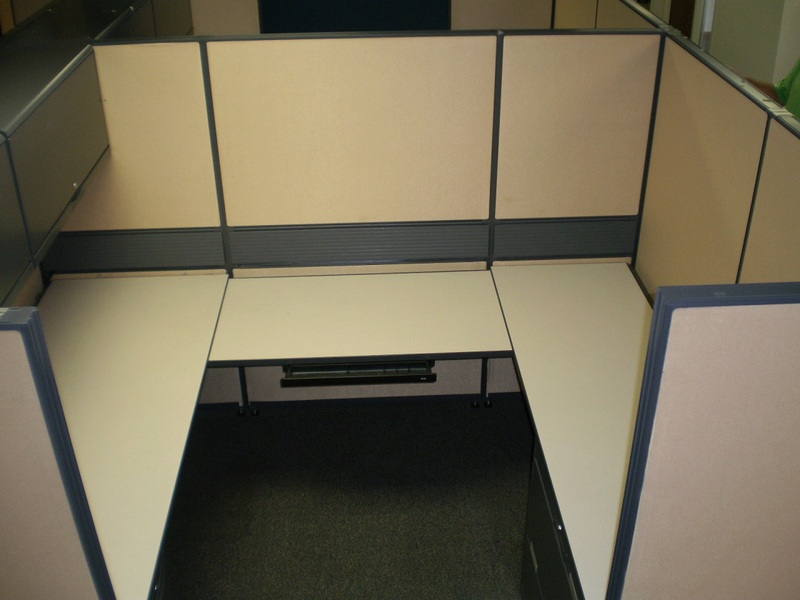 2 Comments on "Teknion Boulevard Cubicles 8×6 or 6×6"